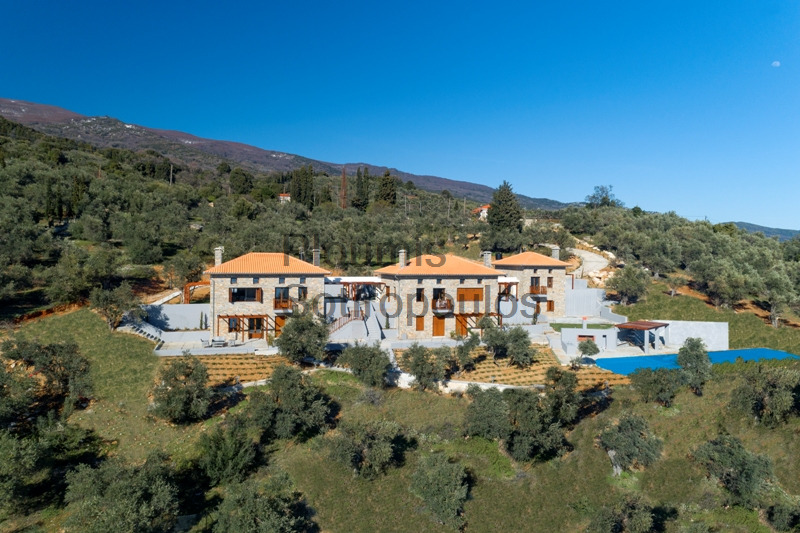 In the midst of an olive grove on a gentle slope in this magnificent area of Greece, five new homes have been built in the traditional local architectural style, measuring a total of 525m². 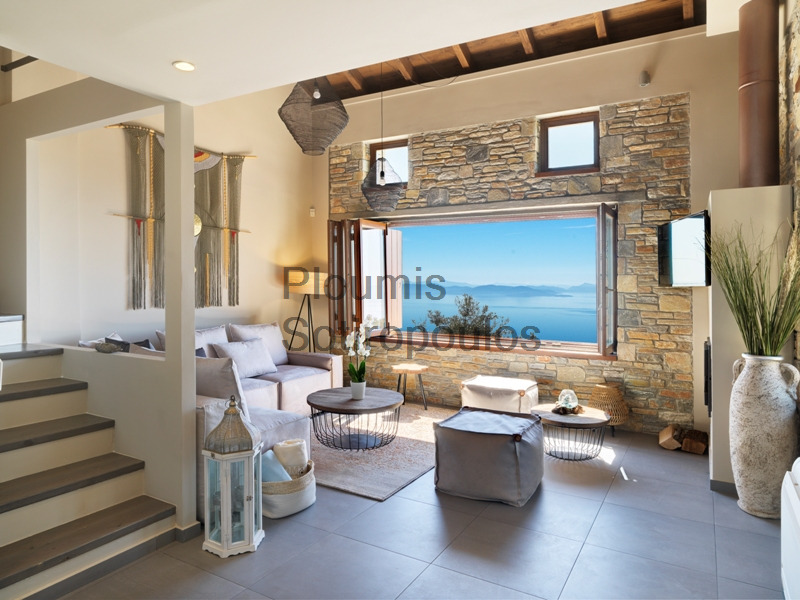 Each house features a spacious living/dining room with an open kitchen, three bedrooms with bathrooms, balconies, and a ground floor terrace with pergolas. The houses are almost identical to each other and they include state-of-the-art LED lighting, alarm systems, French fireplaces which also provide heating, high quality Daikin air-conditioning/heating, three-phase electric current, and landline phones with internet. They have been tastefully decorated and are ready to live in. 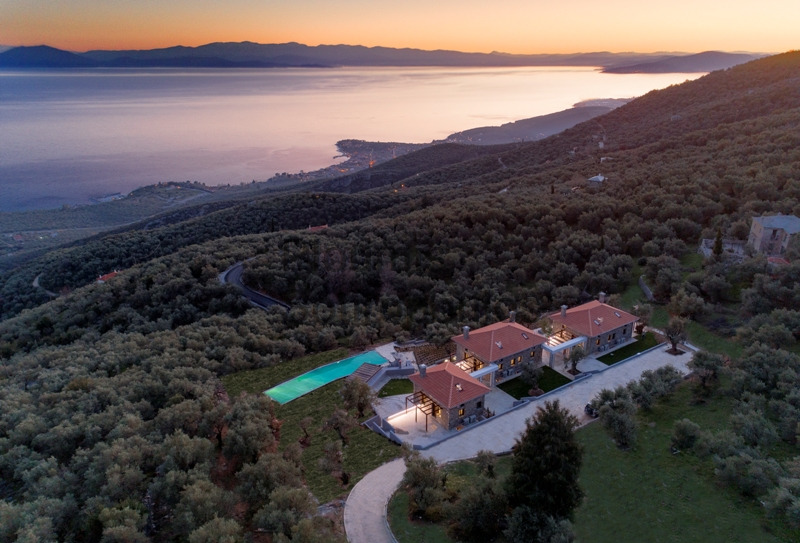 The garden of 6,493m² has been planted with local trees and flora set among the ancient olive trees. A beautiful swimming pool in front of a shaded sitting area is perfect for the summer months. 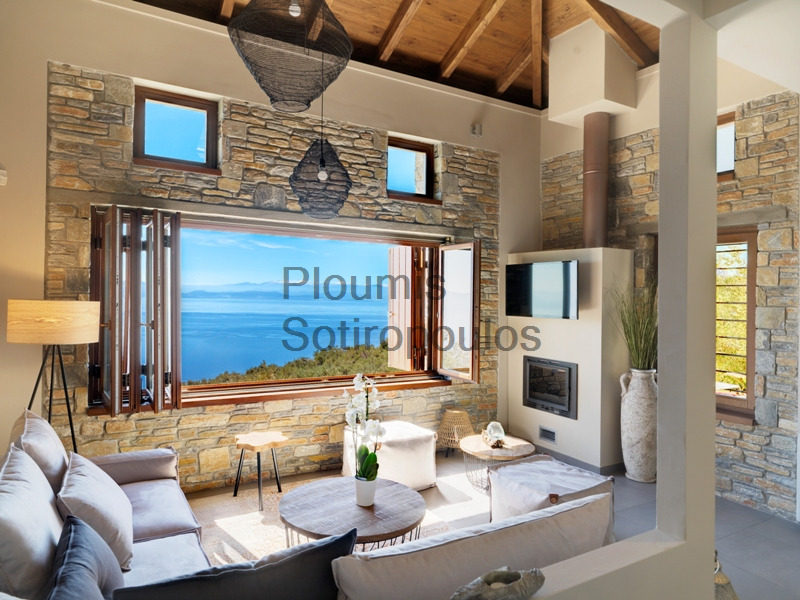 These spectacular homes are ideal for year-round enjoyment - the sea with its beaches and famous turquoise blue waters is only 10 minutes (6 kilometers) away, while the ski slopes in winter are only 35 kilometers away. 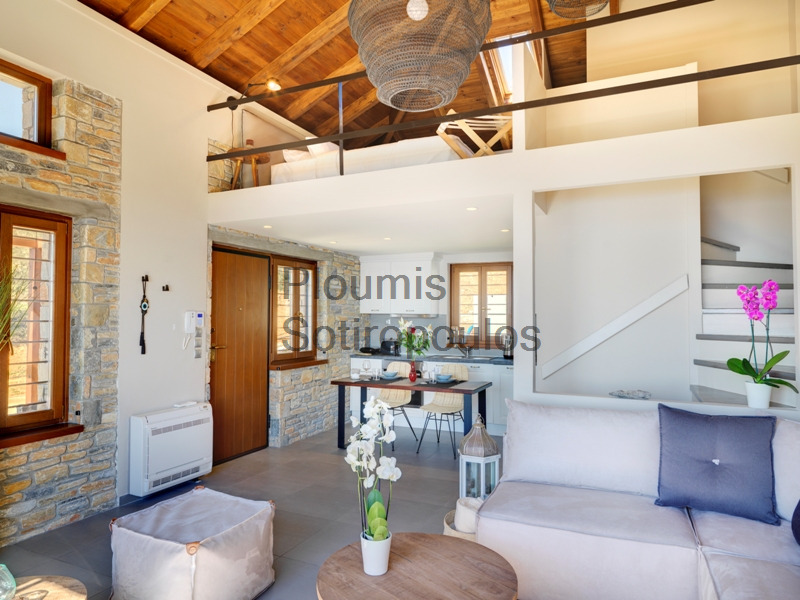 This exclusive residential compound is ideal for use either by a large family or as a boutique hotel. 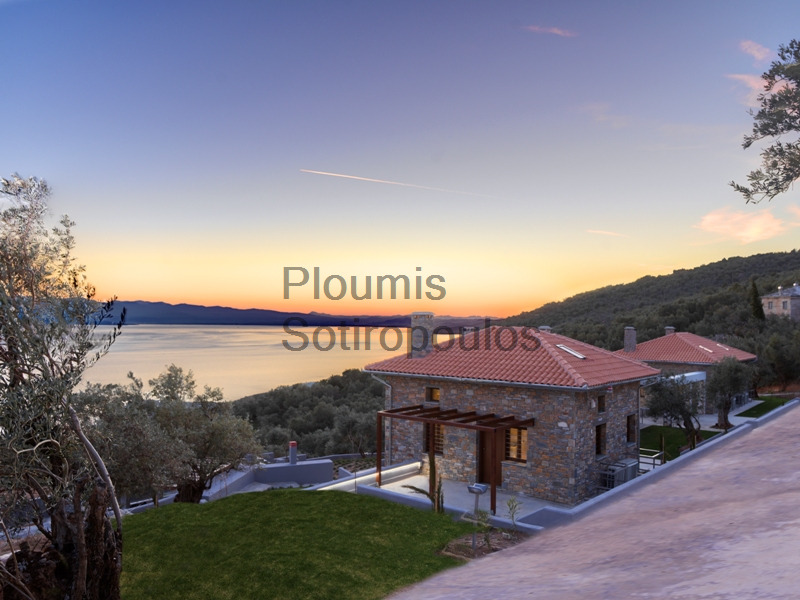 The town of Volos and the international airport of Aghialos are within a half-hour drive. 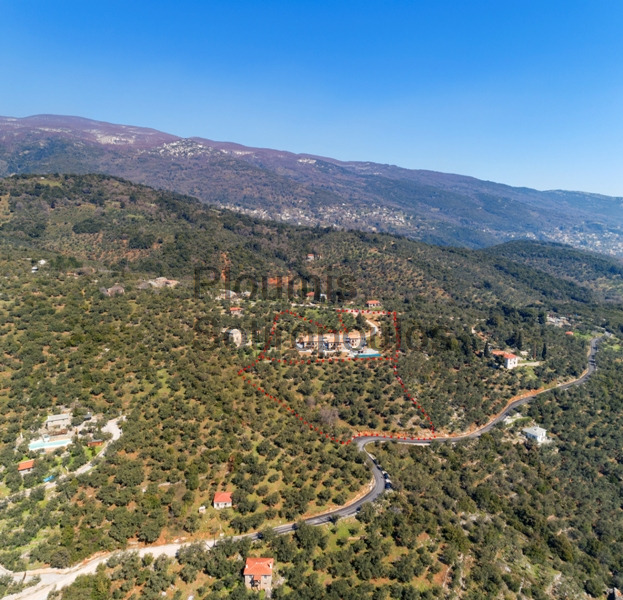 An empty plot of land measuring 5,366m² adjacent to the property may be sold with it. 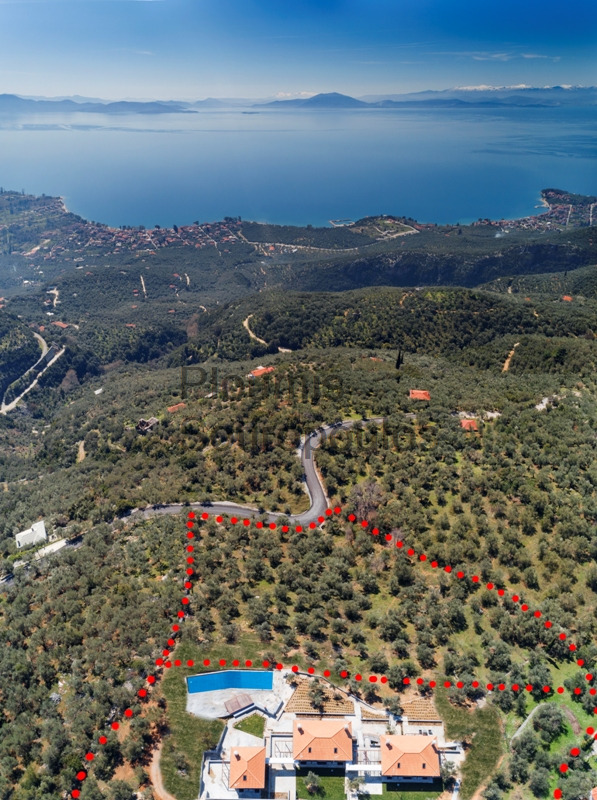 This land has a permit to build three more homes measuring 375m² in total.